Pigs, Cows, and Chickens- Oh My. | Is that Tofu in your pocket, or are you just happy to see me? Pigs, Cows, and Chickens- Oh My. 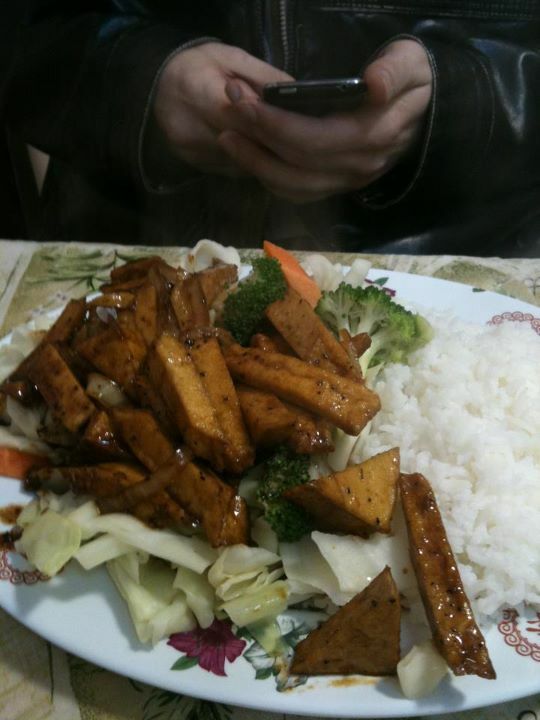 Is that Tofu in your pocket, or are you just happy to see me? Lets think about this. A human baby drinks breast-milk for the first (so many) months/years of their lives. Baby cows drink their mothers milk for the first period of their lives. Then baby cows ween off the cow milk, baby humans go from drinking their mom’s breast milk to a cows milk. I love my cheese as much as the next person- but when you step back and take a logical look at why there is milk, why we started drinking it, etc – you see there is no logical reason why we continue to drink the milk that was meant for baby animals. I’m not telling you to stop drinking it or stop eating dairy- I just want you to take a logical look at what you are really putting in your body. 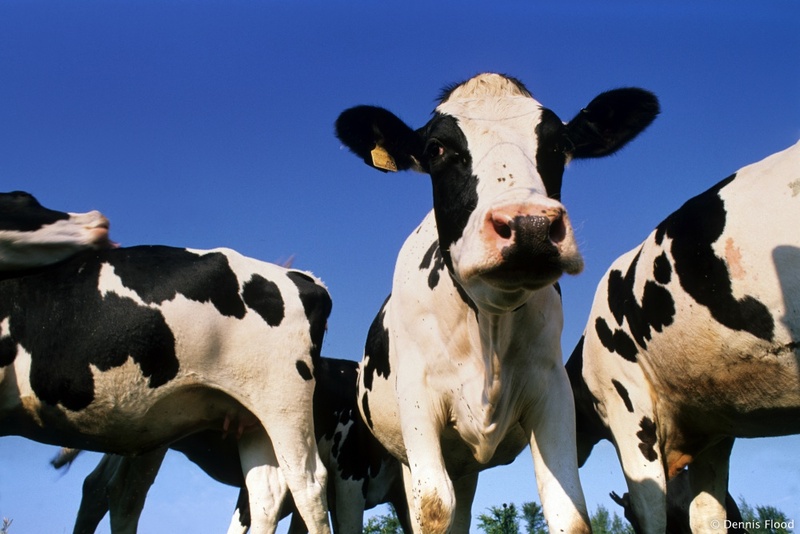 Cows, like humans, only produce milk after they give birth. 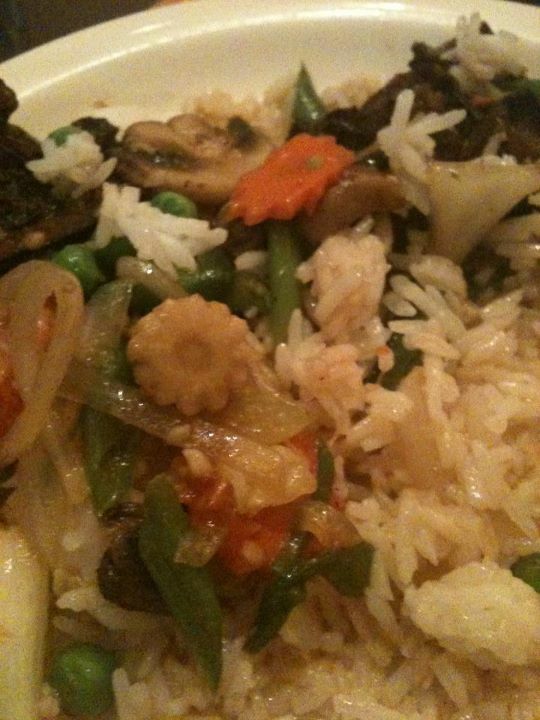 It is full of nutrients… meant for baby cows. To produce the volumes of cow’s milk that we consume today, cows are impregnated over and over again- with the offspring taken away from the mother as soon as it’s born. This is the cow’s life until her milk supply eventually wanes- at which point she is slaughtered. No other species drinks another animals milk. In the world- we have seen micro-evolution in the form of lactose. There used to be a high majority of adults who were lactose intolerant. Now over 60% of the world population is lactose intolerant. It’s considered an abnormality for an adult to NOT be lactose intolerant, because there is no reason why our bodies should still be producing enzymes. It’s something that we have forced on ourselves. Many people do not realize they are lactose intolerant and continue eating/drinking dairy while taking tums/heartburn meds/gas meds/stool softeners/headache meds to combat what they believe to be symptoms caused by other things. And don’t worry about baking. 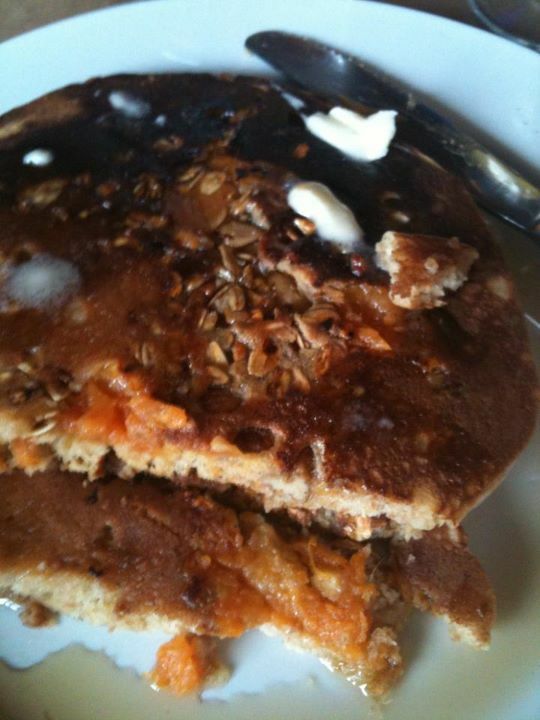 There are substitutes for milk, butter, buttermilk, cheese, etc- and they all taste fantastic. Actually I have made ‘ricotta’ lasagna, ice ‘cream’, mac & ‘cheese’, stuffed shells, ALL kinds of baked goods, etc- and no one can tell the difference (unless I tell them:)). 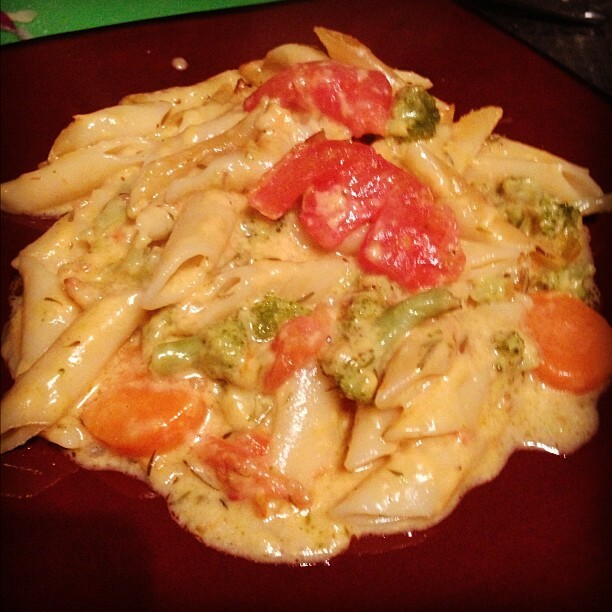 This was Valentines Day dinner and one of the best vegetarian meals I’ve made. I have to try making it vegan soon. Whisk butter and flower in pot over medium-high heat until foamy. Whisk in cheeses, mustard, and all seasonings. This gets a 10 out of 10 from both of us. And it makes plenty of left-overs for us. Taste just as good reheated the next day. When you are doing cooking in bulk, there are a lot of recipes (tortilla casserole, pasta sauce, etc) that go great with Rice and Spaghetti. The trouble is that 1. You want to be able to grab and go with your meals. 2. You don’t want to have to cook anything when you are trying to create bulk cooking. The real reason why I came up with our bulk cooking option is to create easy, delicious, cheap, meals and take away from the time I cook every day and every week. 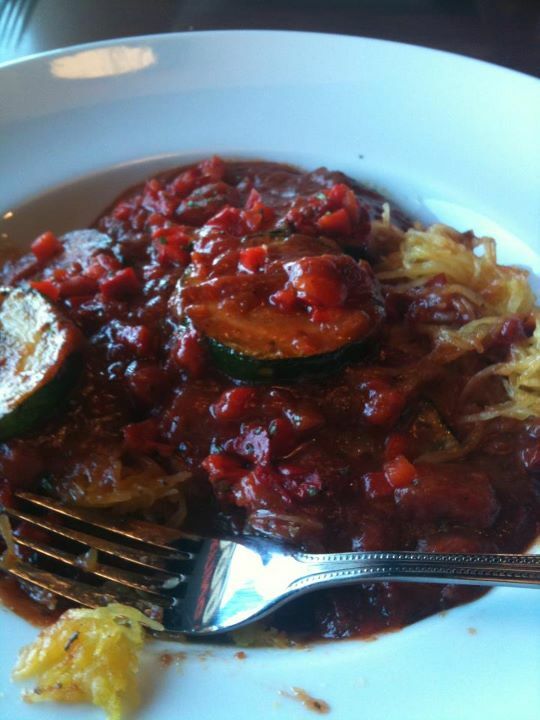 So- when we come down to it – YES you can cook spaghetti and rice in individual portions to reheat later! Spaghetti – I make 2 full boxes (like normal). After I drain the pasta I add enough EVOO to keep it from sticking and then let it cool. Once it is COMPLETELY cook- make sure it is not sticking together, put it into single or family servings and into air-tight baggies and put into the freezer. That’s it! When you know you are going to use it – put it in the fridge the day before (or even just 4 hours before) and then nuke it with whatever you are serving it with. The rice is REALLY easy if you have a rice cooker. If you don’t – I would suggest getting one just because it is not that pricey and makes cooking rice, quinioa, etc – oh so easy! Cook the rice while you are off doing other things (such as cooking your bulk food) in your rice cooker (or other methods.. I suppose :)). Once the rice is complete, spoon into a cupcake tin (3/4ths full) and place into the freezer. Freeze until solid and then pop them out (they will be in solid pieces), place into baggies, and put back into the freezer (they will be in perfectly sized for individual portions). Again, thaw these for at least 4 hours in the fridge before heating them up in the microwave with whatever you are serving it with. I can make a full months worth of rice and spaghetti to fit with any meal when I’m doing my bulk cooking. *Tip: wheat rice doesn’t work quite as well. While making my third giant pot of Chili this season, I’ve realized that my previous Chili Recipe isn’t entirely accurate. That just happened to be the recipe that I wrote down. Really, my chili is more like a cabinet stew. It’s my go-to winter staple that is full of beans, veggies, and seasonings. The only difference between this and my veggie stew is that instead of using whatever veggies are in season and making it up as I go (with a veggie broth base) – I use whatever veggies are cheap AND whatever beans I happen to have in my cupboard/look fantastic (with a tomato base). 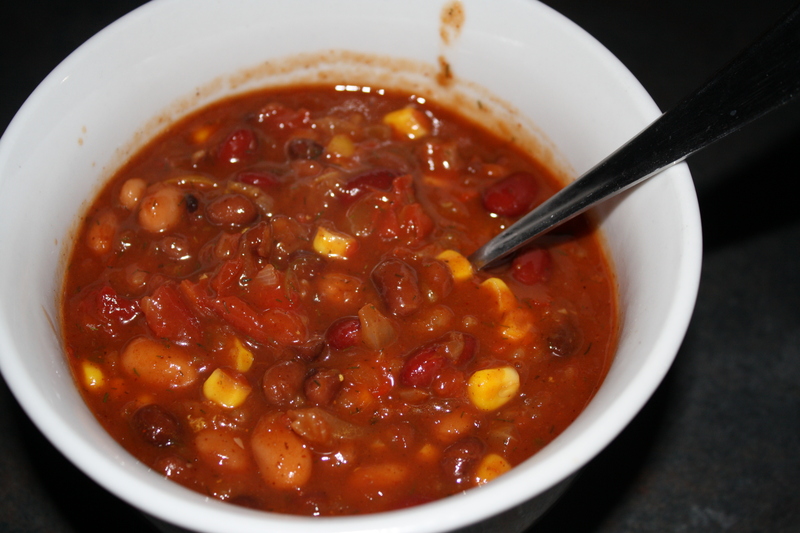 Really- anyone can make a mouth-watering vegan (or non vegan) chili with three simple ingredients: WASHED AND DRAINED beans and lots of them, lots of tomatoes, chili powder (or seasoning if you prefer). Once you have those three things, the sky is the limit. I like making my chili based on what I’m feeling and what looks delicious. Sometimes I use different spices, add or take away veggies, use roasted tomatoes or spicy tomatoes – all just what sounds food to me. For example- my last chili used the normal staple of beans plus black eyed peas, extra chili powder, liquid smoke, vegan Worcestershire sauce, fire roasted tomatoes and fire roasted red peppers, and I let the onion brown before adding anything else. Really gave it a smokey campfire feel and it had rather good reviews. Tonight – I used the normal, but added some vegan bbq beans, extra spicy tomatoes, brown sugar, oregano, celery, 1 can tomato paste, sweet corn, sweet onions, yellow pepper, and some vegan bbq sauce (and took out the broth & water). It’s got a real sweet/spicy southern bbq flavor- and with the extra ingredients and taking out the liquids, it’s a real heavy chili that will taste delicious on these short days. Also- just comment if you would like me to send you any other flavor combos I come up with. I can’t go vegan, you say. I love cheese and eggs, you say. The atmosphere is rummage chic, dark lighting, mis-matched furniture, cool paintings on the walls. Big windows looking at a theatre and the bright colors of the Thai restaurant across the street. 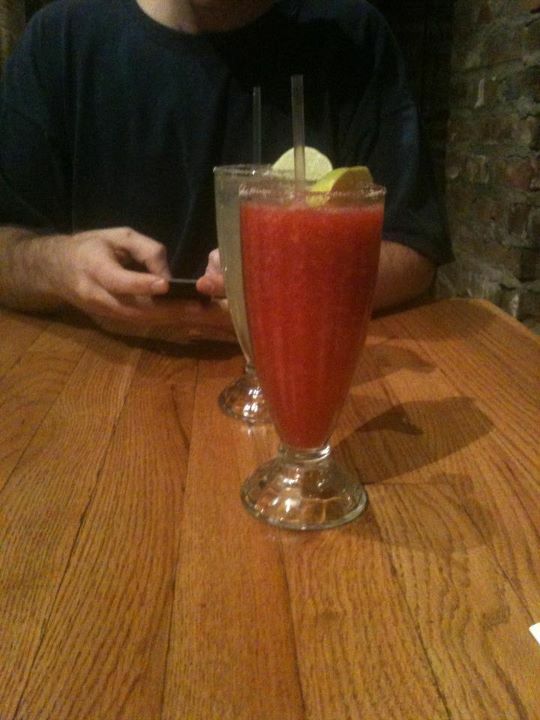 Great juice selections and delicious food. OK, holy freaking crap. I’ve never had a better vegan breakfast than this. In fact I can’t think of any breakfast that was better than this. It really felt like I was cheating with the faux chorizo and chili mixed with corn tortillas and tofu. Adding the local hot sauce “Secret Aardvark” really gave it a killer kick. I would choose this over any other place right now. It’s really cool that there are so many vegan breakfast options out here, something I’ve missed for almost a year. I had the Denver scramble with potatoes and toast. Tofu, almond cheese, red peppers, spinach, onions, and tempeh. Amazing. If you would blindfold someone and make them eat this, they would think they were eating a normal Denver scramble, never missing the meat, cheese, or eggs. It was delicious and I won’t feel crappy later from eating dairy! Freeze jump win! Yes- I know I’ve been anti-social in the realm of blogging for the last… Let’s say few months. I could say I promise to get better- but time gets in the way. I will say that I will try harder to post weekly :). Right now, though, I’m motivated by sitting in one the many vegan restaurants in Portland, OR- waiting for a vegan Denver scramble while Rick is waiting patiently for his vegan huevos rancheros. In a city where you can’t throw a stone without hitting a store or restaurant with a vegan sign in the window or a vegan option on the menu, how can a mostly vegan gal like me NOT be motivated to start my vegan blogging again? I’m inspired by the options of good food and the relaxed people who refuse to eat meat or any egg that doesn’t say ‘cage-free’. Out of our Midwest Mecca of counting vegan options on one hand (no matter how good) and into an art filled, tattooed covered, bicycle riding, beer loving, animal friendly haven. As we are 5 meals a day eaters- and have to cook the majority of our food on Sundays- we’re always looking for quick easy recipes that stay fresh all week. Enter spring rolls! This is my second time making them- and my second recipe. I like them both equally and will post the other relatively soon. Submerge rice wrappers in luke warm water until pliable (I fill a skillet with water and dip one roll at a time- then take it out and put in a new one to soak while I fill the first one). It takes about 20-30 seconds to become pliable. Put wrapper on flat surface, put a small amount of noodles and then about 2 tablespoons of mix on the bottom 1/3 of the wrapper and wrap. It took me a few tries- but below is a decent video on how to wrap them. Very Very good snack. I make 20 of them- and we an afternoon snack of 2 rolls, rice, and carrots. I also serve them with low sodium soy sauce. I cant wait to keep trying different ones. They keep very well in the fridge for a week. I am back in school… To get my degree in the profession that I already work… I know, I know- Silly, you say. BUT- it’s not :). I have experience – I need the paper to back it up. So, between Work Monday-Friday and Class Monday-Thursday, I do not have a lot of time to post. Or do much else, for that matter. I am going to make myself find time. Over lunch- on days that I don’t have some last minute studying to do; or on weekends- in between homework, visiting with family or friends, and spending some much needed time with the fiance and pets. I have been inspired by the ‘Bento‘ lunches that have been a big thing recently. 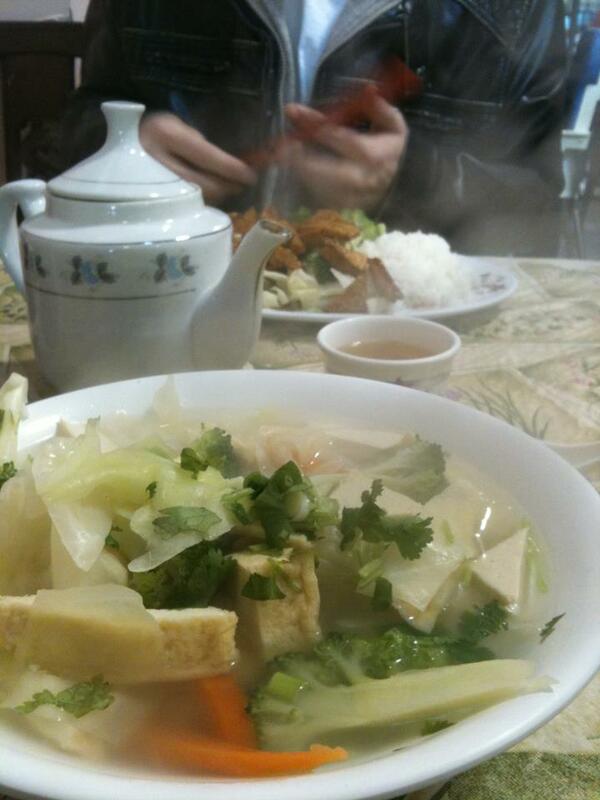 Beautiful, delicious, with a wide variety of food (eh em- and the RIGHT AMOUNT of food)- brought to us from Asian cultures. Love it. Although- being as we have to be a bit more conscious of what goes into our bodies (being vegan and all) – and that Rick is a growing boy who needs a lot of food to keep moving – I’m doing my own spin on bento. It’s a bit different from even the American bento- and really, I don’t care if the rice is squeezed into shapes (although I might try this on a slow cooking day) – I just care that we get a variety of delicious & nutritious foods throughout the day. Tonight we will bring home our empty containers and fill them up again for tomorrow. It is a near perfect system- meant to cut back on us not getting enough food, wasting left-overs, wasting some food in the fridge (I have to find meals to make out of the fridge full of food first), cutting back on wanting to pig out when I get home (hungry) at 9:30pm, and I’m hoping it will all work wonderfully. So far- all of the food is wonderful- so that’s a good sign! Plus in one day like today- my intake is: 1/2 apple, 1/2 banana, 1/2 grapefruit, acai berry, 1/2 cup strawberries, 1 cup grapes, 1/2 potato, 1/2 cup mushrooms, 1/8 mango, 1/8 cucumber, a lot of spinach (it’s a spinach wrap, plus it’s in the wrap, part of my salad, and in the gumbo), 1/2 cup tomatoes, 1 cup carrots, 1/2 cup onions, 1/4 cup broccoli, 1/4 cup olives, granola bar (choc protein powder, granola, applesauce, agave nectar, choc chips), 1/2 cup whole wheat pasta, hummus, 1/8 cup rice noodles, ground peanuts (in both summer roll & the spicy peanut sauce), 1/2 cup rice, 1/8 cup kidney beans, 1/8 cup black beans, 1/8 cup peanut butter – and a ton of spices. Living in the Midwest- it’s not very easy to be a vegan. Or so you would think. Around us- there are a few places that actually cater to ‘Vegans’, but we are slowly learning that we can usually find something good to eat at many different restaurants. If we know which restaurant we are going to- but aren’t really sure what they have on the menu- we check out www.veganeatingout.com – this gives us ideas for what they have. Plus you can always enquire about foods while you’re there- most servers will go ask the chef what’s in certain things. 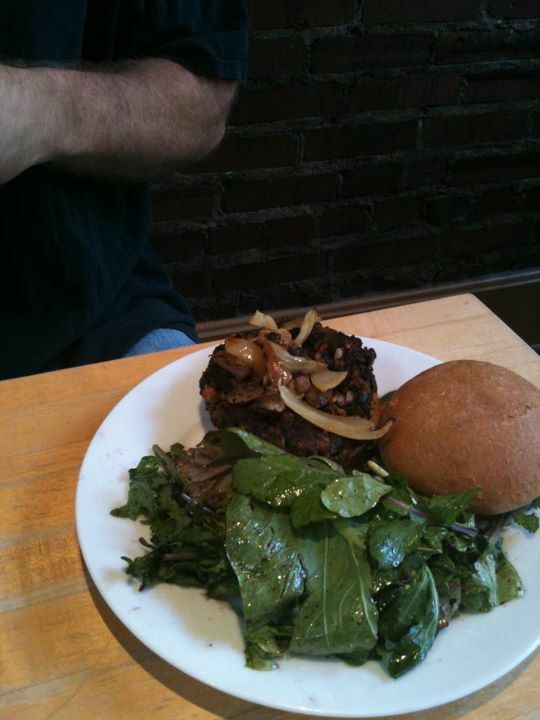 And- a lot of places now have Vegetarian options, which are normally good minus any cheese or butter. We have eaten Italian (Tomato Bruschetta/ Marinara Pasta); Mexican (Veggie Fajita/Veggie Burrito/Chips & Salsa); Fast Food (Chipotle); Awesome Vegan Friendly restaurant in KC- Blue Bird; Mediteranian (Hummus/Grape Leaves/ Etc Platter & Rice Mix); Sushi (Veggie Sushi/ Tofu Platter); Pizza (veggie supreme no cheese); Chinese (Veggie Lo Mein/Eggplant Pasta Dishes); Vietnamese (StirFry/Soup); and way more. So- for those out there that think it’s hard to be a vegan or that being a vegan means we can only go to “vegan” restaurants- Think Again! Yes- It’s been different. Yes- sometime we just have to eat a pb&j because we aren’t in an area that has anything but a burger joint (that doesn’t have a veggie burger). But, for the most part, our social lives haven’t suffered and we’re still saving the critters! YAY! I have a friend. His name is Herb. I love herbs. All kind of herbs. Just smelling fresh herbs brings back memories of summers in my mom’s garden and my brother and I sitting on the hot ground, each chewing on a stem of chive that we ‘snuck’. Back in our healthy meat eating days, we had a lot of chicken, broccoli and cous cous. 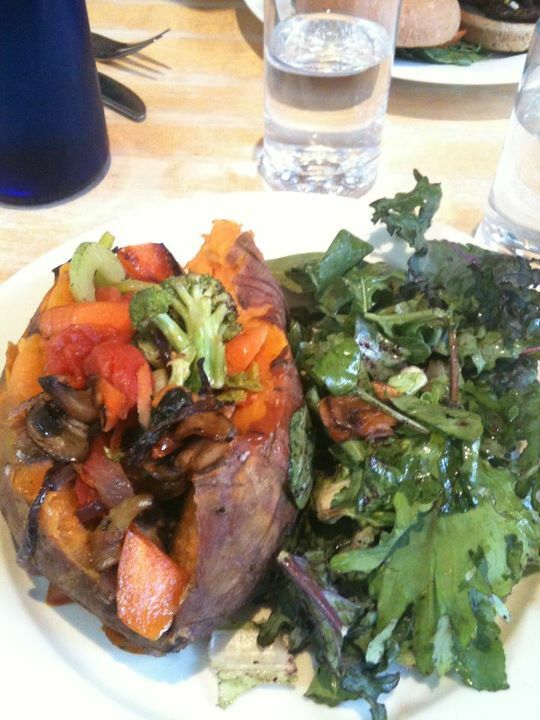 We rarely used fresh herbs- and very very rarely got creative with food. Now, I’m learning how much fun it is to be in the kitchen and am really enjoying the use of fresh herbs. My folks got us an indoor grow garden a few years ago- and we can buy all kinds of herb kits to put in there- so that’s a blast. I will also sometimes get the packs of fresh herbs from the produce section of the store. And, sometimes when I’m home- I’ll stock up on baggie fulls from my mom’s giant herb garden. I also use dried herbs in some recipes (just make sure to remember that even dried herbs expire- make sure you use them within a year for full freashness). Now- up until lately- I’ve been a real novice with herbs. I use only my favorites and only dried or fresh- and then when the fresh start to wither- I’ve tossed them. What a waste. Now, thanks to my MOM and Google- I’m learning what to do with them to make them last longer and be able to really get the most out of my indoor garden by being able to grow back to back (reminder to self- I need to order a new grow bulb, vitamins, and some new herb kits: That thing gets used very frequently)- as well as ideas of what each one tastes like or adds to a dish without having to smell it or taste it. 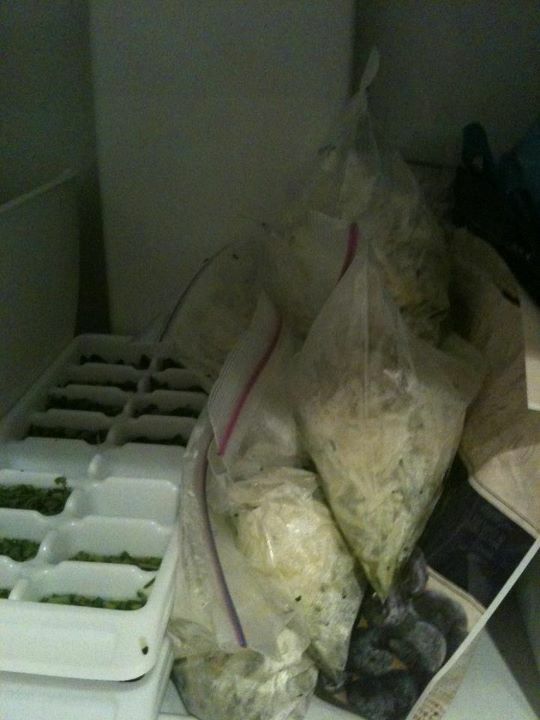 I like to freeze my herbs. It’s simple and then when you are making soup or chili or anything really- you can drop the ice cube into the mix and after it melts- you will have fresh herbs in your dish. They even taste like they were just cut. 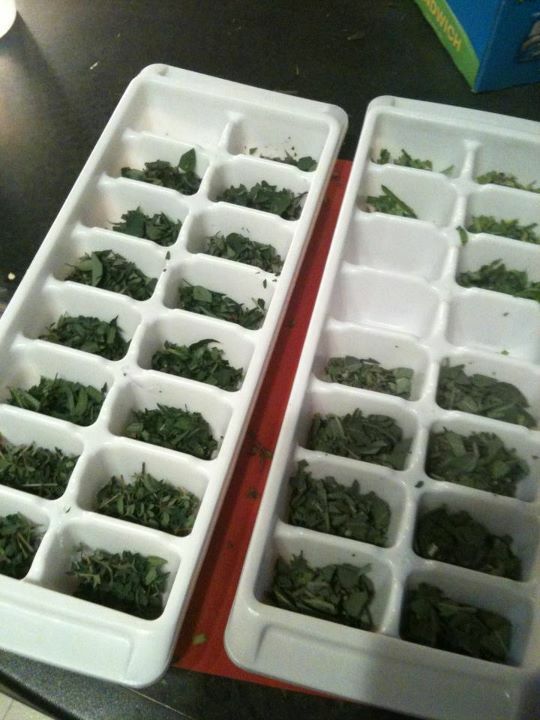 All you have to do is cut them up, put them into ice cube trays (my ice cube trays actually have markings to show what herbs go where), add enough water to make an ‘ice cube’ and freeze! Again- very easy. Have you ever dried flowers by hanging them upside down? This is what I do to save roses- I still have a rose from my first Valentine’s day with Rick- almost 6 years ago, one from my best friends wedding, one from my grandfather’s funeral, and most of the bouquet from when Rick proposed last August. I’m off subject :). But if you ever want to save flowers (roses work best)- it is the same process. 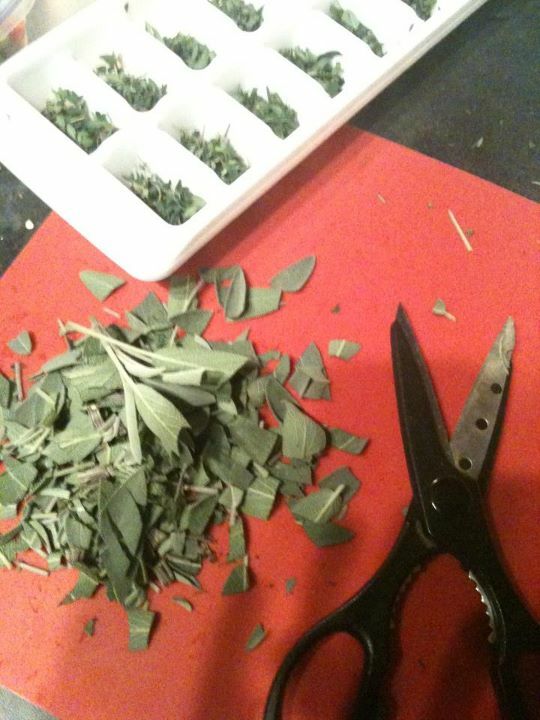 You just cut the herbs at the stem, remove any dry or diseased leaves, and hang them upside down with a string. Make the not tight- the stem will shrink as it dries. Check every few days- and take them down when they are dry (can crumble in your hands). 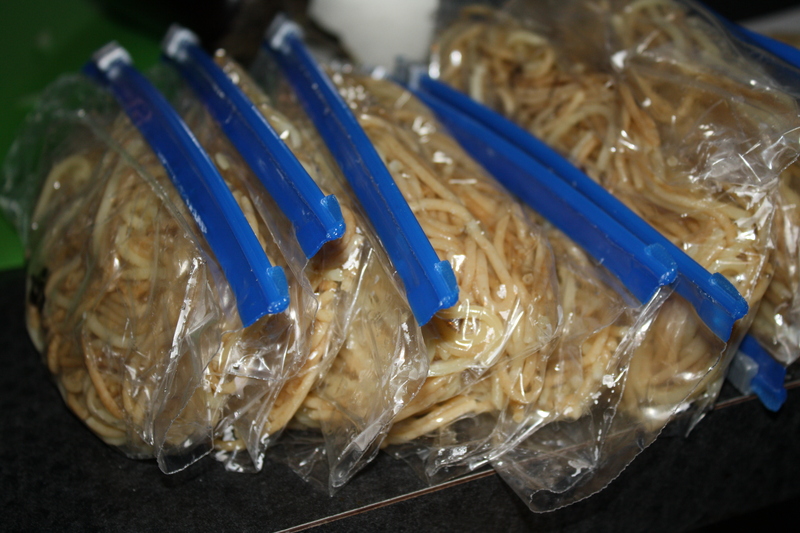 Then store them in an air tight container. I use magnetic herb/seasoning containers from World Market. These will last for a year. Tarragon-good for sauces and such- I added it to ketchup once. YUM. 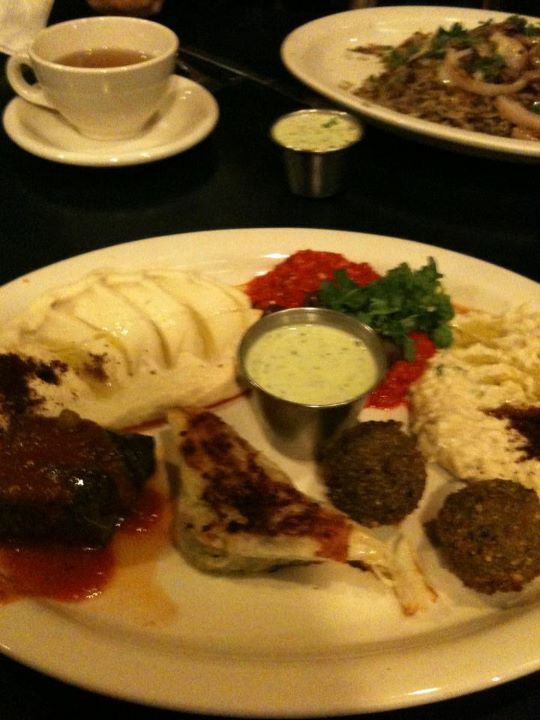 Dill-dips, mashed potatoes, soup, with vegetables- and I really want to try a dill foccacia bread soon.